Wisteria is growing slowly, about 1/4 of the way thru the bottom cables-- I can't keep up with combing and spinning as fast as this knits up. Ran out of yarn again, need to comb and spin more :) It just flies-- a really lovely pattern that is pretty forgiving to my first attempt at spinning a sweater for. 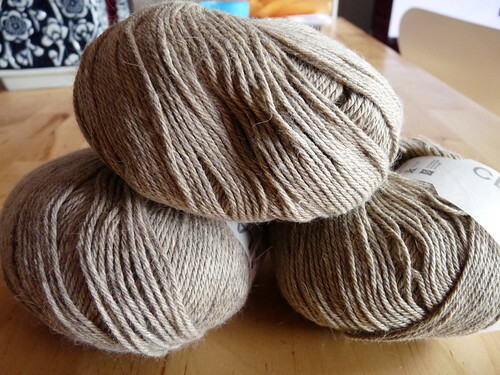 I've been queing baby cardis and sweaters though-- I had a single ball of RYC Rowan Cashcotton 4ply in the stash from last year when I knit my mom those piles of footies from it last holiday season, and tracked down another 2 on ebay (colorway discontinued) for an Heirloom Baby Aran set. The Cashcotton has held up well to lots of machine washing and wear on feet, so it should be okay for a non-knitter to take care of. The dyelots are off for one, but I think I'll be okay. Wisteria is looking good. I've knit Trellis once before. It's really cute, a nice knit. They're such beautiful neutrals though. I relaly should get back to Trellis. I started it before my son was born and he's 1 now. Sakes, probably won't fit him anyway. Hey, there's always green & yellow for babies of an unknown gender, as well as multicolored . . . My mom put me & my younger brother in a lot of the same clothes, but then she was the mother, and I can see how some people might not like getting the wrong color as a gift. P.S. I wish someone had knit baby clothes for me & my brother . . . Knitters are just so awesome. I want to be the knitter in somebody's life when I grow up. You know? 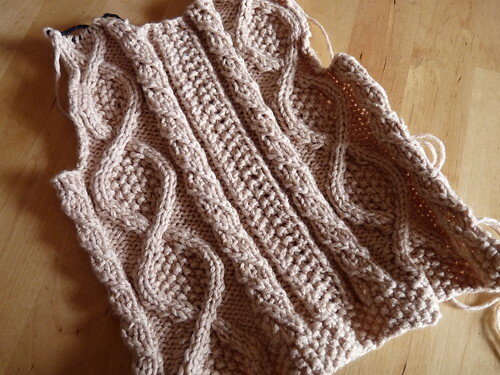 You've already queued the childs placket neck sweater, that's my go-to baby pattern these days. But not quite enough for a very special baby. I want to make all of these sweaters! I wanted to thank you - Dave (Criminy Jickets) directed me to your comments on his basket weave socks (fab) and I really am liking your suggestion to carry the design over 30 stitches. I'm about 3/4 done with the first sock - hope to complete it by the weekend (I'm a slow knitter working long hours with a 2 hour drive each day). I'm always amazed at the superfast knitters that complete a pair of socks in just a few hours! hah. i know what you mean. starting new projects doesn't get the old ones done... but here we are, starting new projects anyway. Hi! Came across your blog when I was looking through reviews of the up coming movie of knitters,(TFNKC). So I started reading on. I love knitting for babies myself and in the back of mind have catalogued what I'd do for my own, when time comes. 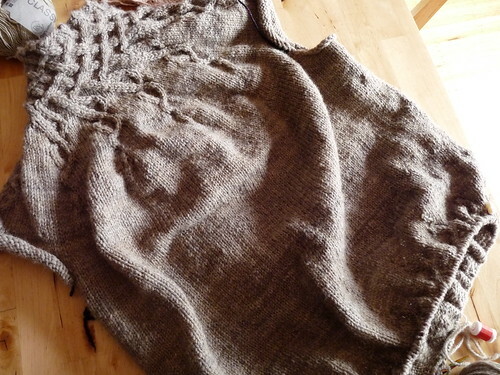 I just envy all knitters who come from a place where the weather is cold and knitting is something a bit more common. I hail from super hot Manila. There's only one credible knitting/craft store here. i.e. I envy you all. And good yarn is expensive here. Such that I usually stick to crappy acrylic just so I could knit something.